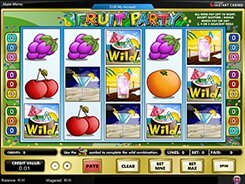 Fancashtic is a 4x4 video slot with a strong classic twist to it since it features a whole array of traditional fruit symbols and 7s of different colors. 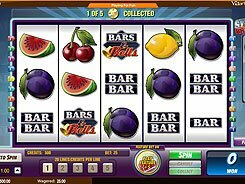 Technically, the slot has 10 paylines that are arranged in the following pattern: four vertical, four horizontal and two diagonal lines. When the game is loading, you are asked to choose a coin value from among three options: $0.1, $0.25 and $1. Think twice at that moment because you will not change a coin size later during a game, but will have to reload the slot. The minimum and maximum stakes are $1 and $50 respectively. 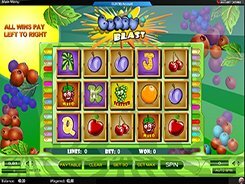 Winning combinations are formed by three or four matching symbols appeared on an enabled payline, with the highest possible payout being 2500 coins ($12,500). There are also two special symbols, Cash1 and Cash2. Whenever either lands in any position on the reels, it adds to a corresponding meter to the right of the reels. Accumulating 10 fills on either meter awards a decent coin award. 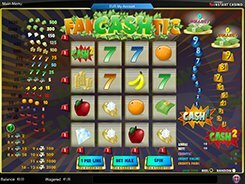 Having a truly unique design, Fancashtic stands out from other slots and attracts many categories of gamblers. PLAY FOR REAL MONEY!